The second half of the lyric essay posted on Wednesday 5/7. Embarrassing Moments sting most. Earlier this year, I was reading a passage from Huck Finn depicting a character named Sherburn who spews vitriol about mobs and vigilante justice. A student asked, “Does Huck say anything about Sherburn’s speech?” and, I said, “No,” trotting out my pet thoughts about Twain’s depiction of Huck as dispassionate and the strategy behind Twain’s approach. But another student raised her hand immediately and held it aloft as I held forth. When I called on her she said, “But what about…” and read Huck’s commentary on Sherburn. In those moments I feel verdict-stricken. My eyes flit from face to face searching for signs of my humiliation. It adds proof. We started many math classes with sets. The set of apples gave way to the contents of an imaginary person’s trunk or suitcase, which gave way in turn to sets of real numbers, of integers, of ordinals, of cardinals, of natural numbers. In one class, we briefly discussed sets themselves, how they corral mathematical objects—which, typically, were not objects—and how “naïve set theory” led to axioms. One dimly remembered axiom dealt in an infinite collection of shoes and how choosing just the left was different from choosing among sets of socks so similar as to indistinguishable. I must be getting it wrong. Others understood it perfectly or professed to. I felt lost in a museum crowded with objets d’art never neat enough to call a collection. Collections possess order you feel. The absence of that feeling is chaos. Do other animals create sets? Does a gorilla group plants he might eat? The finite items animals know—humans included—amass like drops of mercury in one puddle, but I wonder how well other animals remember the parts as ever being separate, whether they conceive of anything beyond what they presently perceive. Does a cheetah know which creatures have the least chance of escape or does the urge to chase rise like a message from elsewhere, a visitation of a singular order dictating that moment? Other animals can’t see outside what they are. If they do not know the borders of the bubble they’re in, at least they can’t aspire to find it and pass through it. They can’t wish to be elsewhere. They want as we do, but want nothing more. I think sometimes about how hard and fast categories are to others and suspect theirs have more resolute and sharp edges. They contain things better. Some feel no need to move emotions between containers, and they worry less about where each belongs. My older brother owned a hinged wooden box—he may have it still—where he saved objects he liked—a particularly good sand dollar, a lens from a microscope, a mermaid’s purse, a wooden nickel, some shark teeth, and some of his own teeth. He can tell me what in this list is wrong. It comes from what, knowing him then, makes sense. That box held other things that have migrated from my picture of him, and I’ll bet he could tell me those too. I have no such box, though I have notebooks from fifth grade to graduate school, and fragments of writing from the time between then and now. I look at them so infrequently I recall motive better than their content. If I got things down, I thought, they might stay. I thought, if I got things down, I might leave those things behind. The exact number eludes me, but less than one hundred copies of my book The Lost Work of Wasps exist in the world. I can’t know, of course, where they are at this exact moment, but often I imagine calling them back. I’ve heard little from their owners and assume some wincing reluctance prevents anyone saying much. I worry I’ve embarrassed myself again, and no one wants to alert me. But that’s supposition. Perhaps the embarrassment is the owners’—they never opened the cover (though they meant to) or fear the contents will compromise the version of me they prefer. “Too serious” or “Too much information,” they may be thinking. Or it could be the book has already become a forgotten satellite zipping around me, broken so there’s no talking to it and no purpose in its assembly of parts. I try to categorize the book, placing it in “Things To Be Proud Of,” but I put it there by publishing it myself… the classification won’t stick. It will only ever truly fit in “Things Unsettled,” a set stuffed to bulging. 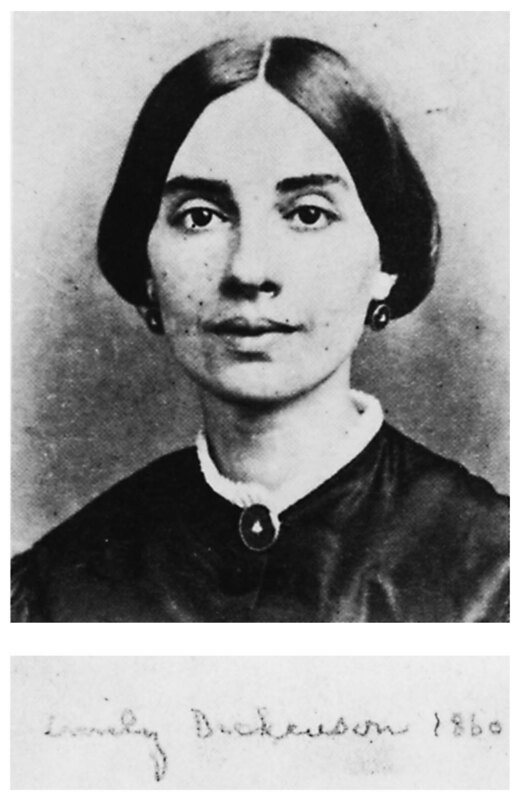 One of the preparations linked to “That last Onset” in Emily Dickinson’s “I Heard a Fly Buzz When I Died” is the speaker’s having “willed my Keepsakes—Signed away / What portions of me be assignable.” The arrival of the fly, another presence is what seemed a complete and finite scene, calls every “portion… assignable” into question. Even without the added fly, the moment relies on faith. Sorting matters doesn’t change them, and our neatest piles lay inert. Their only heat—the thoughts and feelings in the hands that arranged them—cools quickly. Some order belongs only to the maker. Hope doesn’t come so naturally to me, but I assure you it’s there, buried as deep. I remember assuming success, my youthful confidence believing, thinking, speaking, or acting. Everything would be fine, and, if it weren’t, so what? Failure was truly another opportunity. Possibilities cascaded from any risk before me. I didn’t rule the world, but I made laws for my part of it. I anticipated obedience. But Emily still isn’t wrong. Each flip is a new coin, an opening for flight. As long as chance dictates, I might roll yahtzee yet. Humans have to be constructed that way or we wouldn’t bother to eat, sleep, or breathe… and even I see far enough to do that. Hope is more properly a flame, a trick birthday candle sure to re-ignite, fire impossible to extinguish.